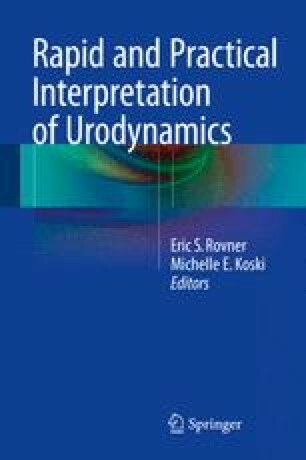 In this chapter the reader will review high quality urodynamics tracing with interpretations by experts in the field. The tracings have annotations in simple to understand language reviewing processes involving coordination of bladder–sphincter complex. After reading this chapter the reader will have better understanding of normal coordination of bladder–sphincter function and will be able to identify pathology discovered on urodynamics studies such as dysfunctional voiding, bladder neck obstruction, and detrusor dyssynergia. By reviewing the tracing and fluoroscopic images one will obtain a fundamental understanding of normal and pathologic process and will be able to form a differential diagnosis based on history and urodynamic findings. This creates a practical, logically planned, and user-friendly reference.